is a powerfully uplifting and transformative self-help book for the creatively and spiritually challenged. Overflowing with tips, exercises, and resources, the updated 10th Anniversary Edition of Digging Deep is even more vital in today’s technology obsessed culture than when first published. Fran shares the lessons she’s learned from gardening over the past thirty years to guide you in unearthing the innate creativity and joy of your own true nature. If you’re yearning to get out of the rut you’re in and cultivate more meaning and connection in life, Digging Deep offers encouragement and the tools to make it happen. The 7 Stages of Creative Awakening will take you through the steps of removing the stifling inner voice that says, “I’m not creative,” and replacing it with strategies that will help you harness your instincts, ignite your imagination, open to new possibilities, take more risks, engage in play every day, create the garden of your dreams, and develop a deep connection with nature. The result? A life filled with creativity, joy, and well-being that’s a reflection of your most authentic, artistic self. If you’re ready to discover the magic in your garden and in yourself, this book is for you! 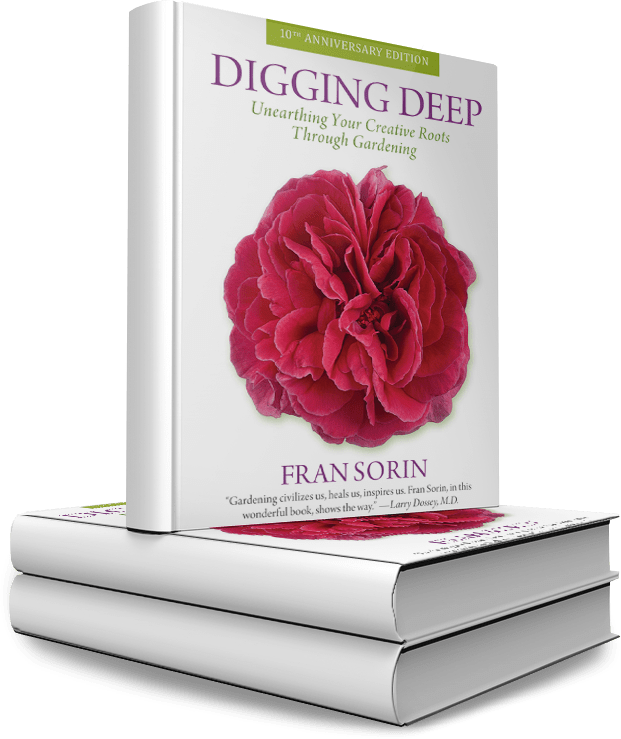 Fran Sorin is the author of the original and recently updated 10th Anniversary Edition of Digging Deep: Unearthing Your Creative Roots Through Gardening, a book inspired by her thirty years of playing and working in the garden. 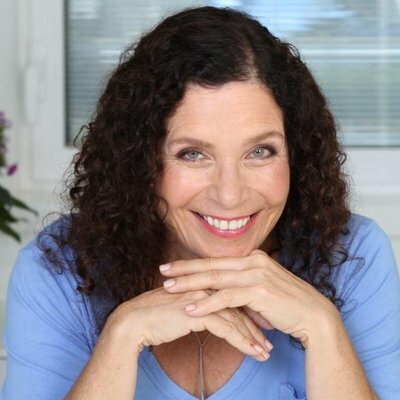 Fran a graduate of The University of Chicago with Honors in Psychology, is also a recognized garden expert, deep ecologist, ordained interfaith minister, soul tending coach and CBS Radio news contributor. Fran lives with a gaggle of dogs, 2 rooftop gardens, and is surrounded by family and the loving presence of nature and spirit. She loves rowing, is a cinephile, and can be found playing, laughing, connecting, working hard (and loving it), and creating wherever she is. She feels that every day should be filled with creativity, connection, play, kindness, and generosity. For her, these are the cornerstones of what constitute a joyful and meaningful life. Connect with Fran on her website, Facebook and Twitter. 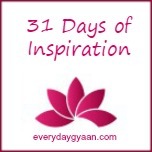 Excerpt – You can read an excerpt from Digging Deep on Vidya Sury’s blog here. Fran’s style of writing is easy and engaging and yet has such a depth to it that made Digging Deep it such a wonderful reading experience. I savoured the book, loved reading about all her experiences and quietly bookmarked tips to follow later. Given my own recent interest in gardening, Fran’s book couldn’t have come to me at a better time in my life. I have been exploring my own creativity online and attempting to get my hands dirty offline, but still have a long way to go before the two worlds combine. Digging Deep is certainly going to help me do something I have been consciously working at – to bring these two worlds together. This is one book I will be re-reading soon! Sounds like a great and inspiring book! I’ll have to look out for it. Thanks for the recommendation! It is, Nicole. I would love to know what you think of it if you do read it.